An Exclusive Masterclass from Deni Supplee, G. Brian Davis & Sayge Grubbs, Esq. Landlords get sued. A lot. But by the time they're served with lawsuit paperwork, it's too late to protect their assets! 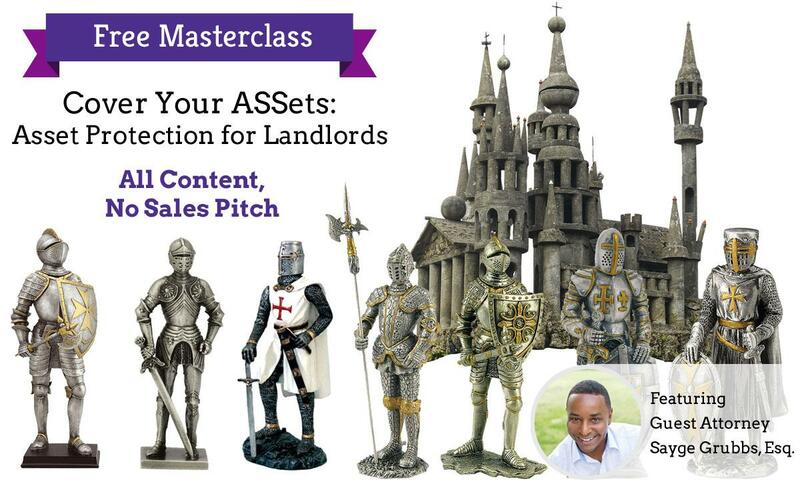 That's why we're bringing the nation's leading expert on asset protection for landlords, Sayge Grubbs, Esq., on to deliver an hour-long masterclass for you, free of charge! In plain English we'll cover what all landlords need to know about LLCs, trusts, and how landlords can protect against lawsuits. Oh, and did we mention this is a pure content webinar? No sales pitch included! Who says LLCs and trusts and asset protection have to be boring? After the webinar, you'll get optional access to a free mini-course on rental investing, landlording, house hacking, and more, plus access to resources like a free rental application, weekly industry updates and landlord tips, and more!